The time had come to go home. Boo! My flight wasn't till 5:55pm, but I had to check out of my hotel by 11:00am. So I packed up and decided to visit the Florida Mall before I headed to Orlando International airport. The Florida Mall is a large complex with many shops and places to eat. After walking around, taking a look in some of the shops, and buying myself a new pair of trainers, I decided to start making my way to the airport. I checked my car back in and and went to check in, after some waiting, and some more looking around, I made my way to the terminal from which I would be departing. With a 1 hour delay I sat down and decided to write once more about my time in Florida. The following passages are what I wrote whilst waiting to come back home. This has easily been the best holiday that I have ever been on. I had a great time, and even Hurricane Jeanne did not spoil my trip. Every day out was great, though Kennedy Space Center was a little disappointing due to unforeseen circumstances. Every park was amazing. Universal Studios is great fun for any movie fans, as well as every one else, and Islands of Adventure may be the the best theme park that I visited. 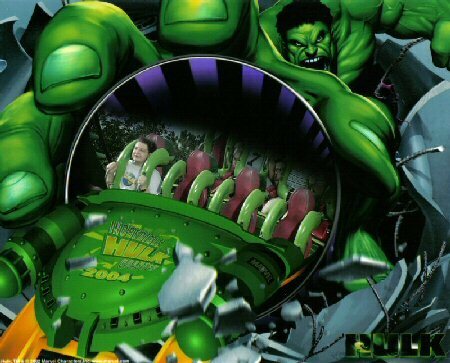 Islands of Adventure has some great rides and lovely theming. Wet 'n' Wild is great for a day when you want to go out, but relax a little too. It could only be better with more people there. 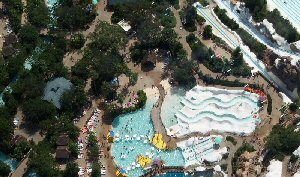 Busch Gardens is a truly lovely park combining a theme park with a zoo that makes for a wonderful day out. Some great rides, and the amazing animals make this a must do. Discovery Cove was a wonderful place and swimming and playing with a dolphin is quite possibly the greatest experience that I have ever had the opportunity to do. It really is beyond words to describe, and I now know why everyone loves them so much. They really are the most friendly, playful, and wonderful creatures on this planet. SeaWorld is another great park, with an emphasis on sea creatures. 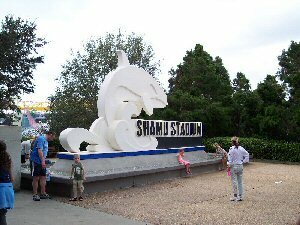 Kraken is a great coaster, and The Shamu Adventure is a must if you go to the park. I was not disappointed at all. The Helicopter Tour was not something I had planned on, and something I had not even thought about. I just decided to do it, and was glad that I did. Seeing some of Orlando's sites from high above really shows you the vast size of them, especially Disney World. The weather was great throughout, apart from Hurricane Jeanne and some rain on the 20th, due to the remainder of Hurricane Ivan making a loop. Orlando is definitely worth another visit, especially as I did not get to do half the things I could have. Once again, this has been the best holiday that I have ever been on. Thank you for taking the time to read this, I know you will not have had as much fun reading it, as I had doing it. But I hope you enjoyed it. I will finish off the only way I know how. 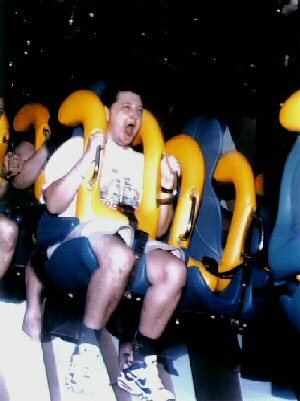 With my favourite picture of my whole time in Orlando. It doesn't get any better. 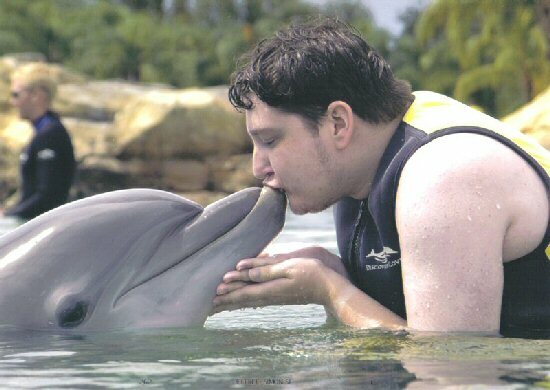 Kissing a dolphin.